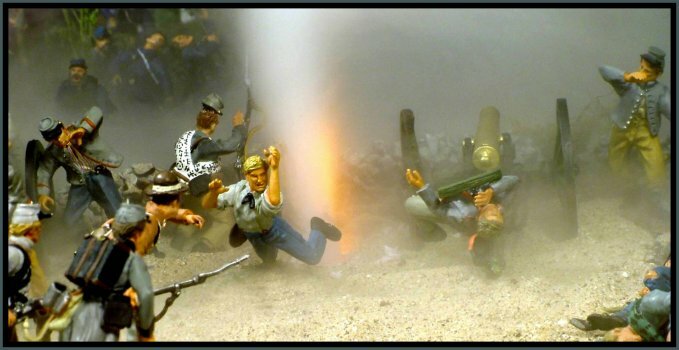 I've always loved the dynamism of the exploding cannon set. All it needs is a little imagin-action help! 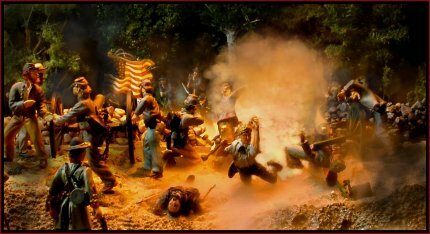 The Civil War Hand to Hand sets are probably my favorite group of figures. What Robert Ortiz has done to "freeze" so much action and animation in these sculpts amazes me. I hope we see many more hand to hand vignettes in all the different ranges in the coming months and years! 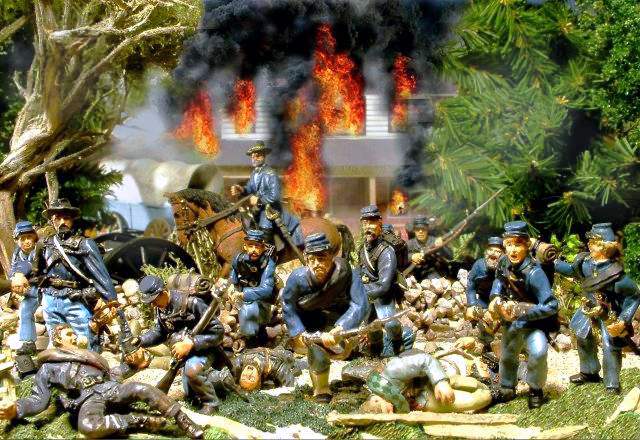 My favorite large set has to be "First at Manassas". 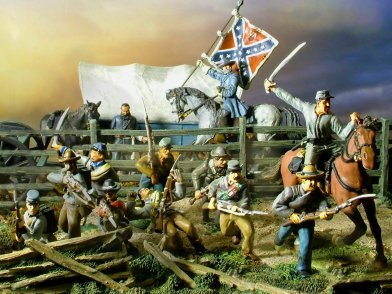 The 1864 Terrain Pieces and the painted metal and plastic figures are a Playset Lover's dream.